We operate tours to European Battlefields, led by an experienced Battlefield Guide. We will take you to locations that you might miss riding on your own and we will show you the full history of events. We operate scheduled tours and bespoke activities for clubs, societies and groups of like-minded bikers. 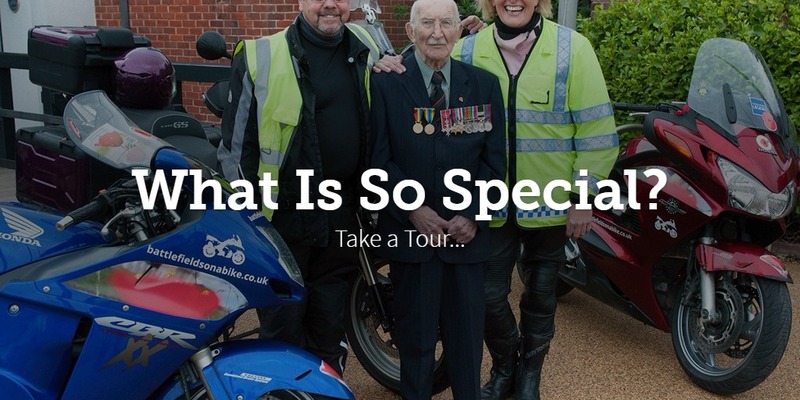 We are the Official Motorcycle Tour Partner for the Royal British Legion. Tours under the Royal British Legion itineraries raise funds to support servicemen past, present and in the future. We are proud to stand shoulder to shoulder with all who serve. Ready to make a booking? Click above for our booking site to book your memorable holiday on your motorcycle.